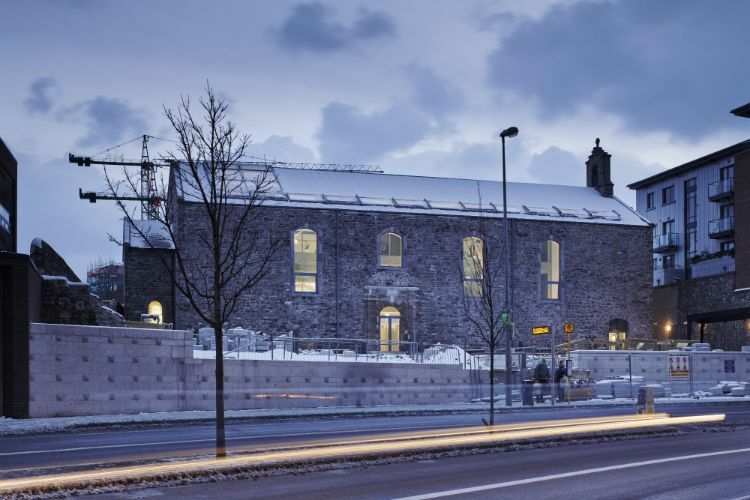 Galway head-quartered contractor, JJ Rhatigan & Company, recently moved its regional operations in Dublin to a former Church building which, working closely with Dublin City Council, has been transformed into modern offices in a Joint Venture with St Luke’s Partnership. 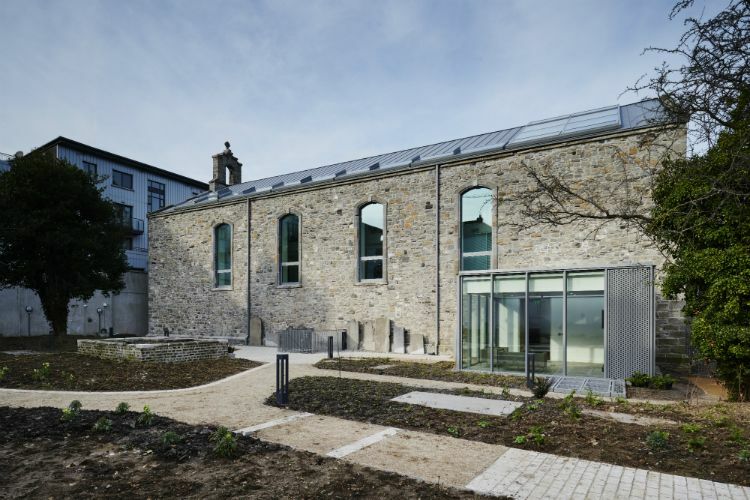 In November 2017, JJ Rhatigan completed a €3.25m 13-month restoration and repurposing of a 17th century Huguenot Church on Newmarket Square, Dublin 8 into a three-storey modern state of the art office, with two floors suspended from the roof truss structure within the walls of the 300-year old Church. Originally designed by Thomas Burgh, St Luke’s Church dated back to 1716. Deconsecrated in 1980, the Church burnt down in 1986, leaving only a roofless ruin, comprising the four walls of the main body of the Church, three chancel walls, and a portion of its mosaic floor. There was also some original plasterwork. But this was severely damaged due to exposure to the elements over the past 30 years. In that 30 years, there had also been an extensive growth of trees, and the roots had caused severe structural damage to the chancel and some vaults in the crypts. 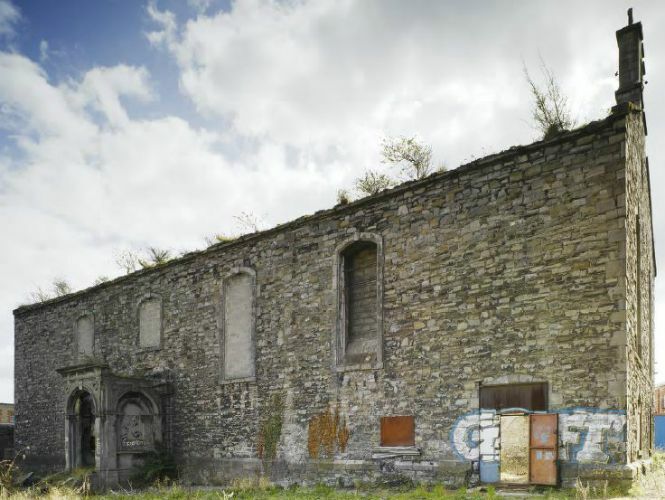 Following the construction of the Coombe Bypass, now St Luke’s Avenue, Dublin City Council sought proposals in 2006 for the development of the Church in accordance with the St Luke’s Conservation Plan, prepared in 2005 by Shaffrey Associates on behalf of the City Council. 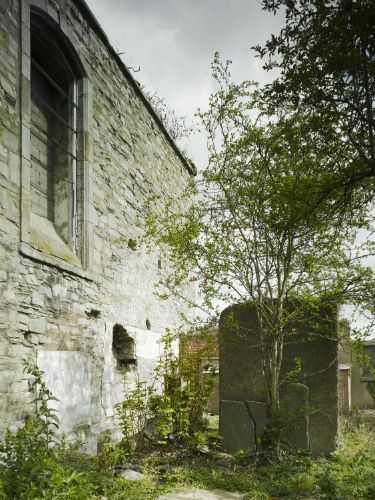 A proposal was submitted on behalf of the St Luke’s Partnership (Derek Tynan Architects and Carrig Conservation) for the retention and conservation of the original structure and its adaption to office accommodation, with the addition of a new reception pavilion in the South Graveyard on the footprint of the original vestry. 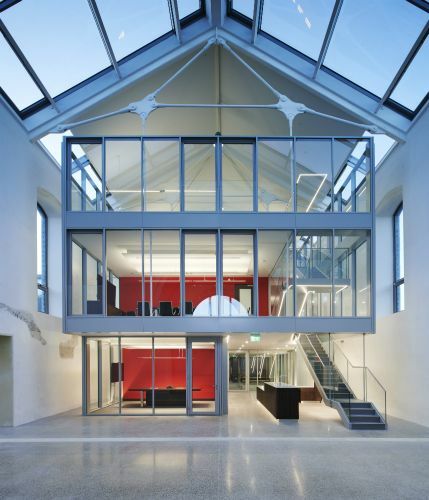 JJ Rhatigan & Company saw the potential to locate its Dublin Region Office to this iconic and historical building. They then came to an arrangement with St Luke’s Partnership to do so. 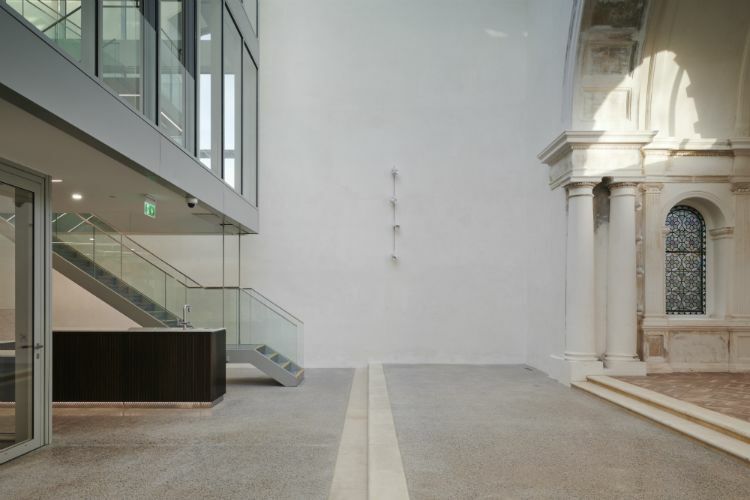 The original walls of the building were to be restored, repointed externally and rendered internally with lime plaster. 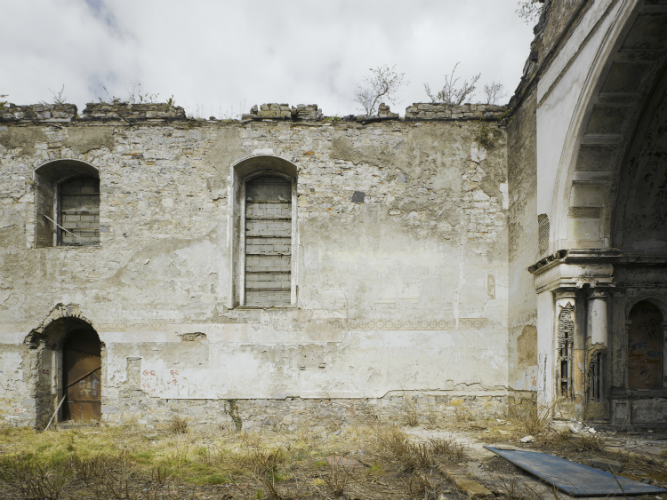 When the Victorian north porch was removed, it revealed the remains of the original doorcase and elements within the walls – including stained glass windows and elaborate chancel plasterwork. 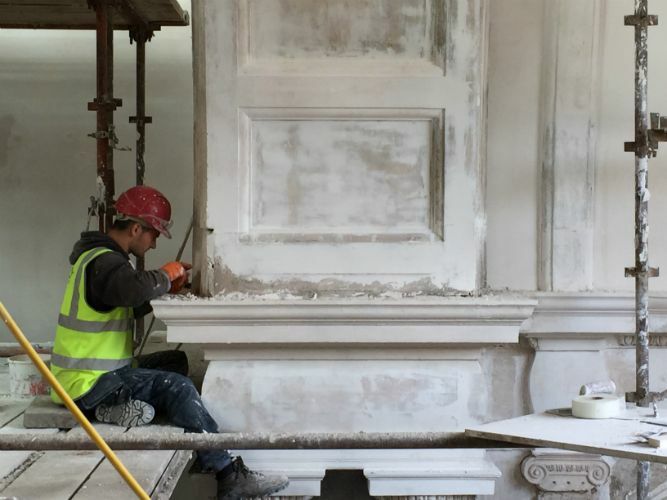 These have been carefully restored, providing a rich context into which the office accommodation has been inserted. 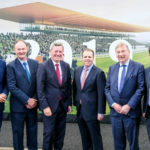 John Cormican, Contracts Manager on the project for JJ Rhatigan & Company, says that it was a project that had a number of unique challenges, some of which were not obvious at first, which tends to be the case with substantial conservation projects. “Much of the initial work was uncovering and discovering what we were dealing with,” says John Cormican. 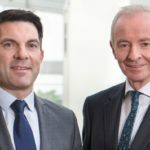 “Through consultation with all of the relevant officials, working closely with Project Manager, Padraic Costelloe, we decided what our next course of action would be. Great care was taken to remove all decayed and unusable materials and reinstate with similar materials. 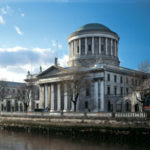 JJ Rhatigan & Company engaged with Stone and Plastering Specialists, Nolan Group and George O’Malley, whose expertise assisted with the process of review and approvals with the Council officials. The new building contains office accommodation across three storeys in a glass-clad space. The upper two floors are supported by a tensile suspension system from new trusses spanning onto the original walls. 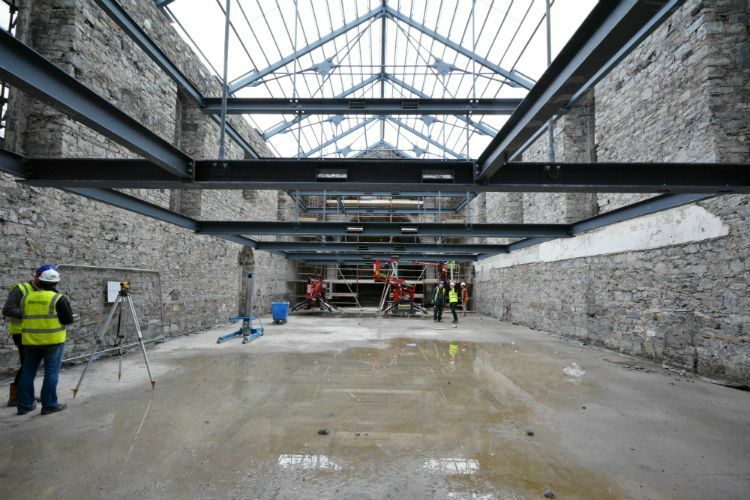 The office accommodation is separated from the restored walls of the church. This structural solution was a result of the inability of the vaults to take any load. The enclosed office space does not extend entirely through the building. It is separated from the walls on three sides and open at the end bay adjacent to the restored chancel. This maintains the original Church volume, forming an atrium space overlooked from the office space above. 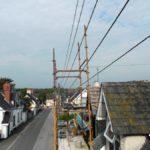 “Coming from an Engineering background,” explains John Cormican, “the most exciting and unique feature of this project was the suspended structure, where the first and second floors were fully suspended from the roof truss structure. This was achieved by using an elaborate Macalloy type hanging system. New additions to the existing structure include the roof truss, zinc-clad roof and rooflight, windows and reception pavilion. These are distinguished materially as modern additions to the original shell. 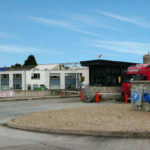 The accommodation consists of 600 sq m of net office space. 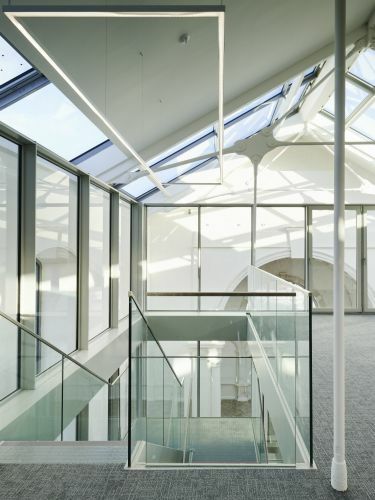 There is a suspended stair from the atrium providing access to the upper floors, which include meeting rooms, individual offices and open plan areas. Lift and escape stairs are located within the core at the rear of the open plan office areas. The fit out, designed for JJ Rhatigan, includes bespoke workstations and storage for both individual and open plan offices. 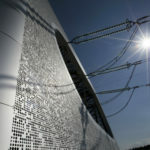 The building is heated and cooled using high-efficiency air-water heat pumps and variable refrigerant systems, which reflect industry-best standards in energy generation. 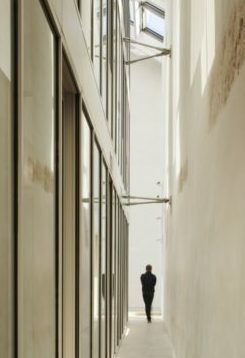 Ventilation comprises automated opening windows supplying fresh air to the building’s occupants, with a Building Management System controlling the automatic windows and rooflights to provide natural cooling during summer months. Underfloor heating has been incorporated throughout the ground floor, supplied by the high-efficiency air-water heat pump, which is a highly efficient form of heating and utilises the available thermal mass of the building. Rooflights provide a significant level of natural daylighting but have been designed over office areas to minimise unwanted solar gain and glare. Energy-efficient LED lighting has been provided throughout the building, with PIR-control and absence detection to minimise energy wastage. The building has been renamed ‘ Thomas Burgh House’ in honour of the original architect. 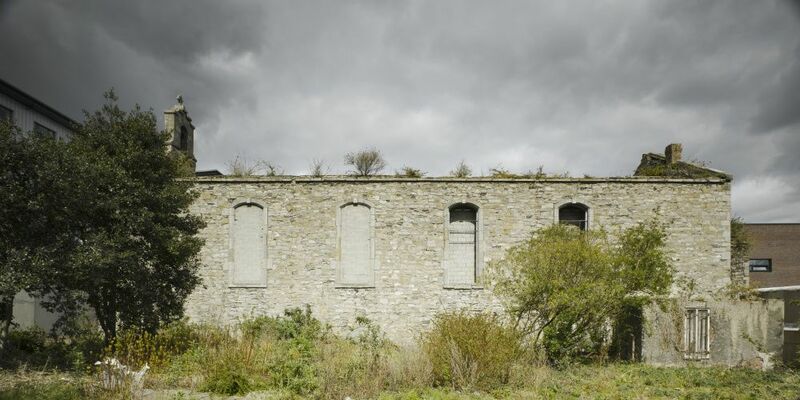 JJ Rhatigan worked on the project in association with the Heritage Division, Dublin City Council, who in turn commissioned Bernard Seymour Landscape Architects and Shaffrey Associates to carry out the redevelopment of the former public areas and graveyard at St Luke’s Park to the north and a biodiversity garden to the south.